Today marks the last day of our internship here in Kansas City. It’s been a whirlwind of a time learning about the association, working with junior members and planning Junior Nationals and the IGS Summit. 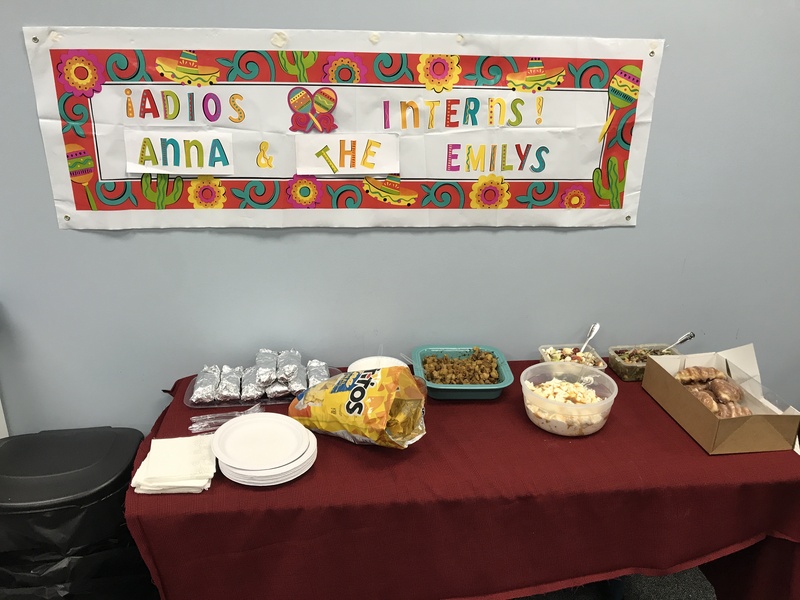 These summer months have flown by and we are going to miss all of the staff members in the office, but we are leaving with some great memories and experiences. Working in a breed association has been the perfect opportunity to help us grow in our professional skills and give us a look into career possibilities. Everyone in the office has been so welcoming and helpful, and we are grateful for the friendly atmosphere we were able to work in. For our last day, we decided to throw a potluck brunch. This year, for the Beef Cook-Off contest at Junior Nationals, the key ingredient was steak. We decided to center our dish around this cut of beef and thought breakfast burritos would be the perfect way to start our last day. After searing the steak on the stove, we added some scrambled eggs and bundled the mix up in individual flour tortillas. Shelby brought potatoes as her side dish, which made for a great addition to the burritos. After a healthy dose of some salsa and cheese, the perfect burrito was born and the fiesta began! 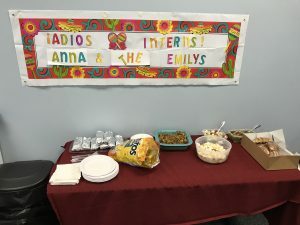 Once everyone had eaten their body weight in burritos and side dishes, it was time for Anna and Emily Dyes to return to college for their final year of school, and Emily Meinhardt for her junior year. Our time here may have seemed short, but we will remember our experiences for a long time to come.